Click on an image or link to download or print the documents below. All of our documents are saved in PDF format, and many of them can be filled in electronically. If you do not already have PDF viewing software on your computer, you can download free viewers like Xpdf or Adobe Reader. Note that many PDF editors do not save changes, so if you are emailing your form to us, please check your attachment to make sure your content was saved. 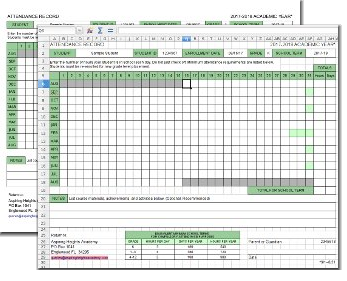 Our attendance recording forms are available in printable (PDF) and spreadsheet (Microsoft Excel (XLS) and OpenOffice or LibreOffice (ODS)) formats. We will attach a customized form in the format you request to your enrollment confirmation email. For more information about these formats, please see Attendance Recording Forms. Please check your email for your form. We use this form to request records from another school. 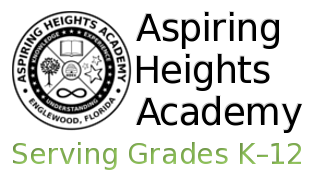 If your child's previous school does not have a form for you to sign, and you would like us to request copies your child's records from his or her previous school, you will need to complete and sign this form. Complete our Records Release and Authorization form if you would like us to send our records to someone else.